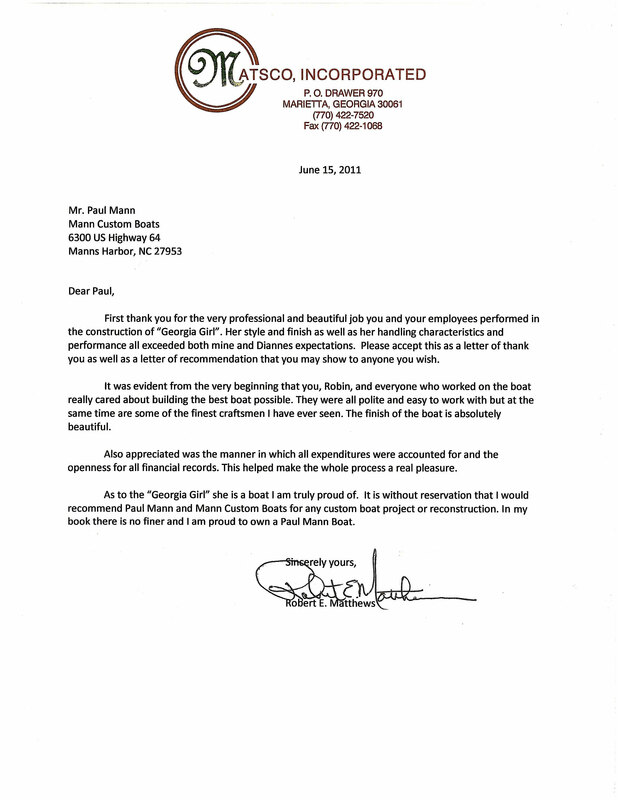 Paul Mann Custom Boats wants to sincerely thank Robert Matthews, his wife Dianne, and all the folks at their end who worked with us on the spectacular and exciting Georgia Girl project. From start to finish, working together, we achieved the best custom boat build possible and the results were nothing short of amazing, exceeding even Paul’s high standards and expectations. We are extremely happy with the owner’s proud assessment of the finished product. We share here the letter received from Mr. Matthews expressing his satisfaction. 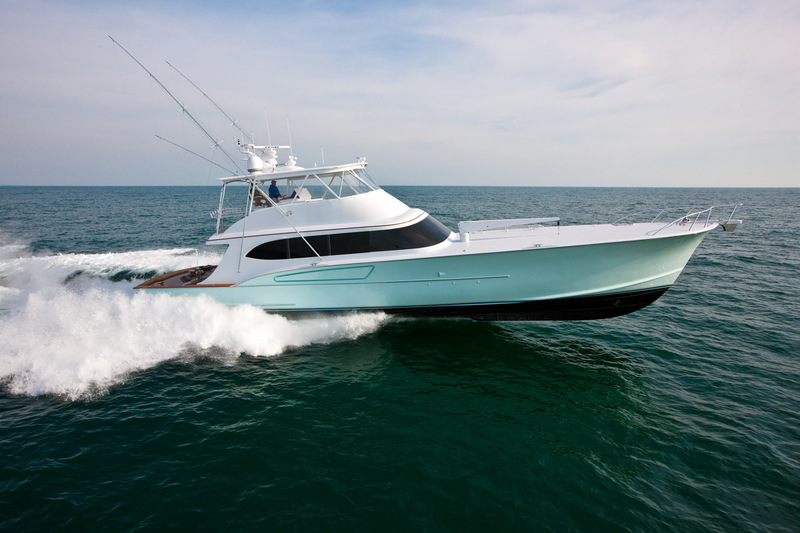 If you are considering a custom sportfish yacht, we hope you’ll take into account the experience that Mr. Matthews (and many others) have had with Paul Mann Custom Boats since we began building in 1988. We believe, and Mr. Matthews agrees, that Paul Mann builds the finest yachts of their kind anywhere in the world. There just is no better built boat.